Listing by Todd Kortright @ (623) 256-7949. Text or Call. 17524 W Canyon Ln Goodyear AZ 85338 is located in the gorgeous master plan community of Estrella in Goodyear, Arizona. Priced under $250k, this home is affordably priced and move-in ready! Close to Estrella egress of Estrella Parkway, this is the easiest community to access from “down the mountain”. The home is close to a lovely park and is within walking distance to the Starpointe Resident’s Club, Waterpark, and shopping. 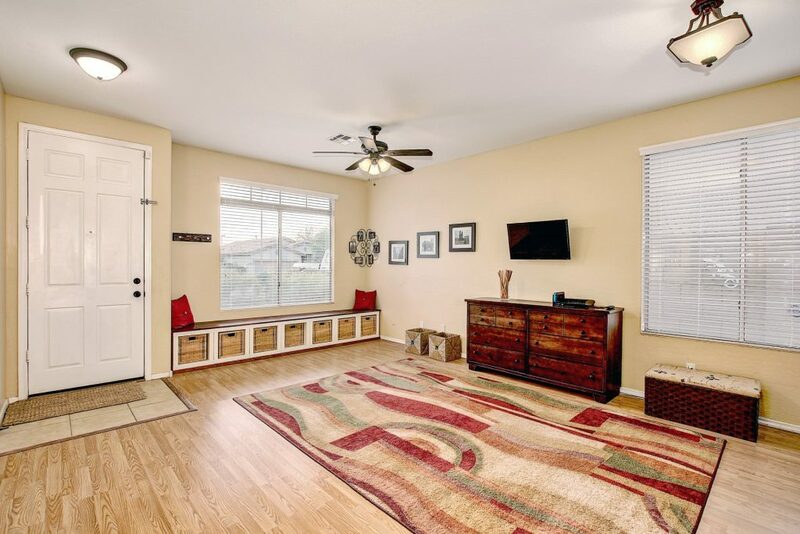 This home features warm wall tones and neutral flooring throughout. 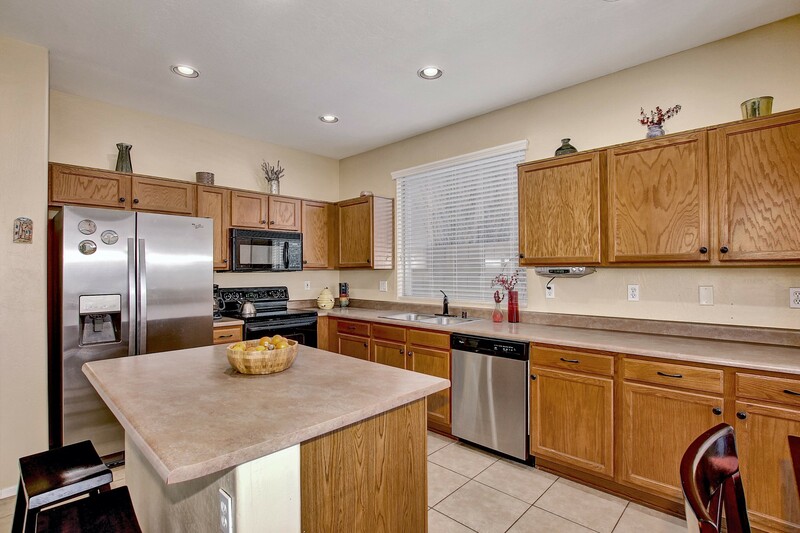 Eat in kitchen is complete with a plethora of cabinets, ample cou nter space, and stainless steel appliances. Guest rooms have plush carpet and ceiling fans. Full guest bathroom with single sink vanity. Master suite has picture windows and ceiling fan. Full spa bathroom with dual sink vanity and separate soaking tub + shower. Spacious walk-in closet! Backyard features a covered patio with lush green grass and plenty of room for entertaining. This home is sure to go quick, so request a showing today. Todd and Amanda Kortright have been Top Producing Goodyear real estate agents since 2005 and know the market inside and out. If you would like to discuss buying or selling real estate in Goodyear, Arizona, please contact us here. Kortright Group’s Blog is the most comprehensive online source for Goodyear and Estrella Mountain information. 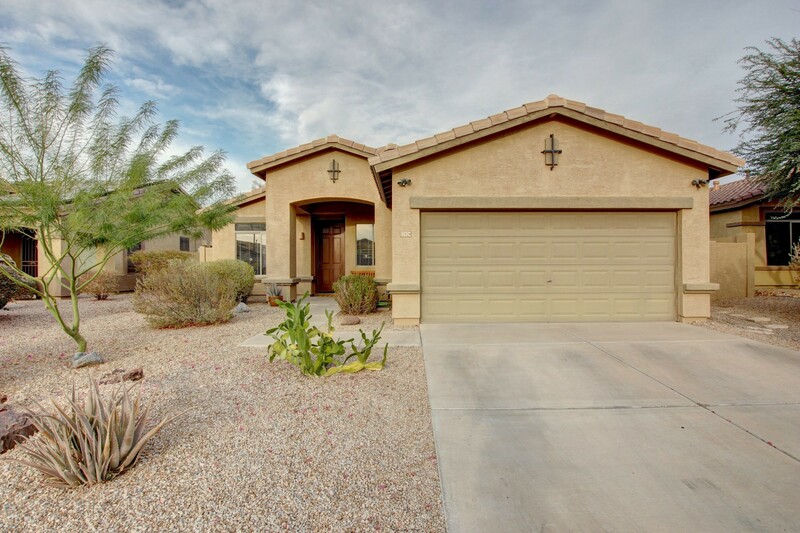 Whether you are looking for the latest sales, trends or homes for sale in Goodyear, Kortright Group’s website has it all at your fingertips. Browse information regarding the Estrella Mountain Ranch Communities, Phoenix New Construction Homes, Palm Valley Homes, Pebblecreek Active Adult (55+) Homes, Goodyear Homes for Sale Under $250K plus much more.